When the National Baseball Hall of Fame opened its doors in 1939, there were 26 men deemed worthy of enshrinement as the greatest figures in the game’s history. Eleven living members of that elite group attended the Hall’s official dedication on June 12, 1939: Walter Johnson, Ty Cobb, Babe Ruth, Honus Wagner, Grover Cleveland Alexander, Tris Speaker, Nap Lajoie, Eddie Collins, Connie Mack, Cy Young and George Sisler. Following their speeches, each of these diamond deities received an engraved gold watch marking both baseball’s 100th anniversary and the Hall’s debut. Thus, a mere 11 of these prestigious watches were produced and bestowed. To our knowledge, this extraordinary offering represents only the second example from an inaugural Hall of Famer ever to reach auction with the other, having belonged to Walter Johnson, sold for $56,763 in the Summer of 2012. 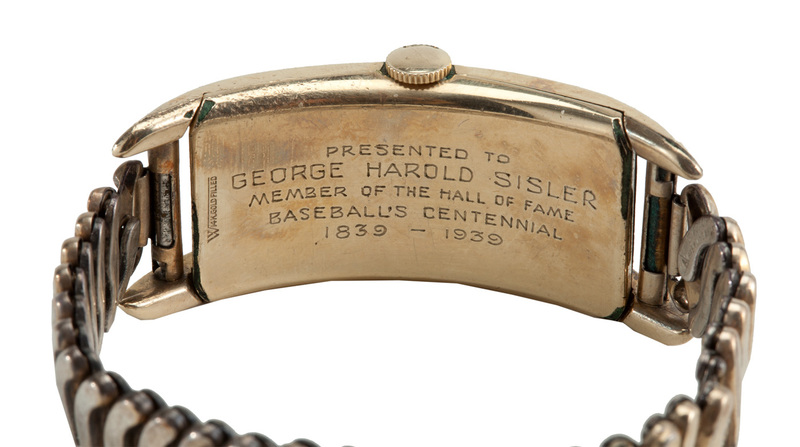 Having passed down through generations of the Sisler family, we present George Sisler’s 1939 Hall of Fame Induction watch here for the first time publicly. 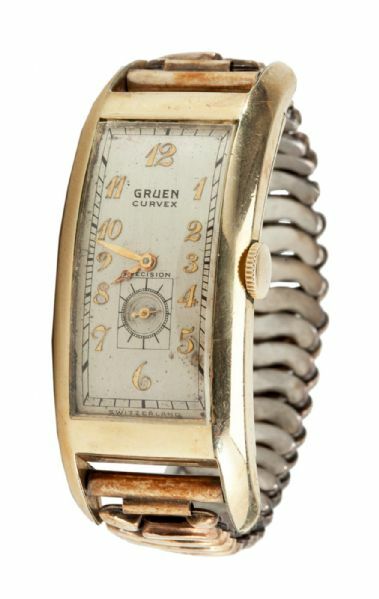 The 14-karat gold Gruen Curvex watch is engraved on the back: “Presented to George Harold Sisler, Member of the Baseball Hall of Fame, Baseball’s Centennial, 1839-1939.” The face of the watch seems remarkably devoid of any issues, barely revealing even modest surface wear from expected normal usage, and appears to be in working order. 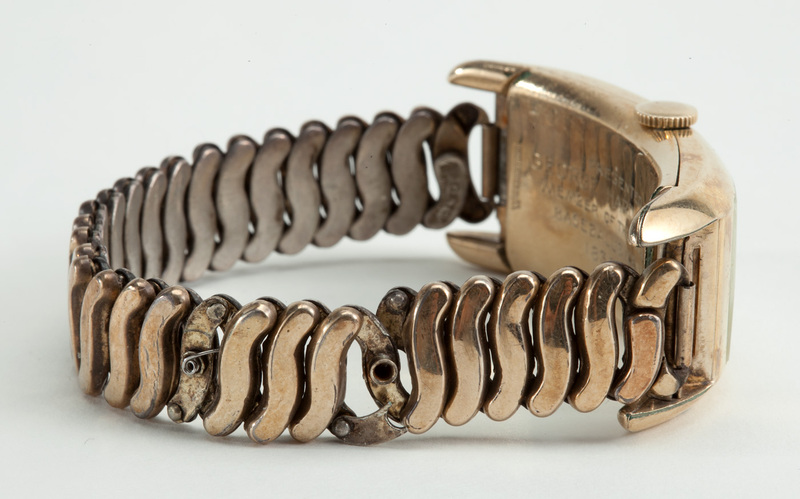 The expandable gold-and-silver wristband is likewise in excellent condition, jostled only by some breakage and missing gold caps to two of the links. 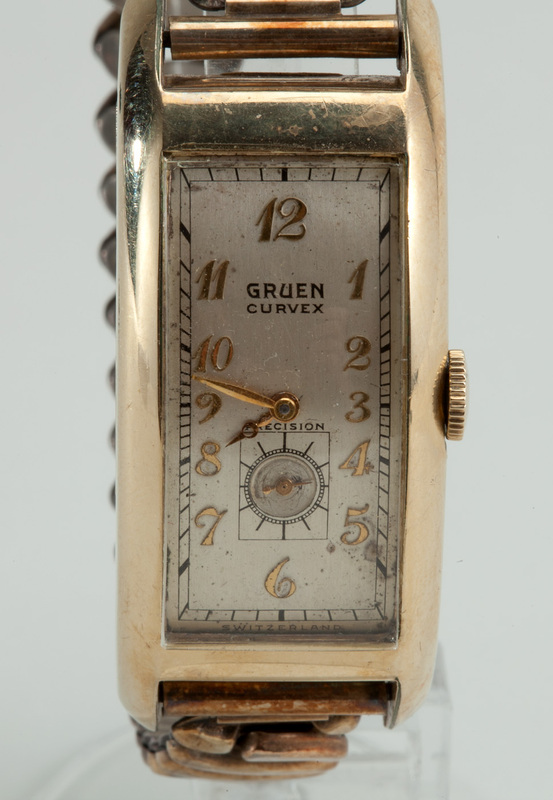 The historical significance of this presentation timepiece can hardly be overstated. 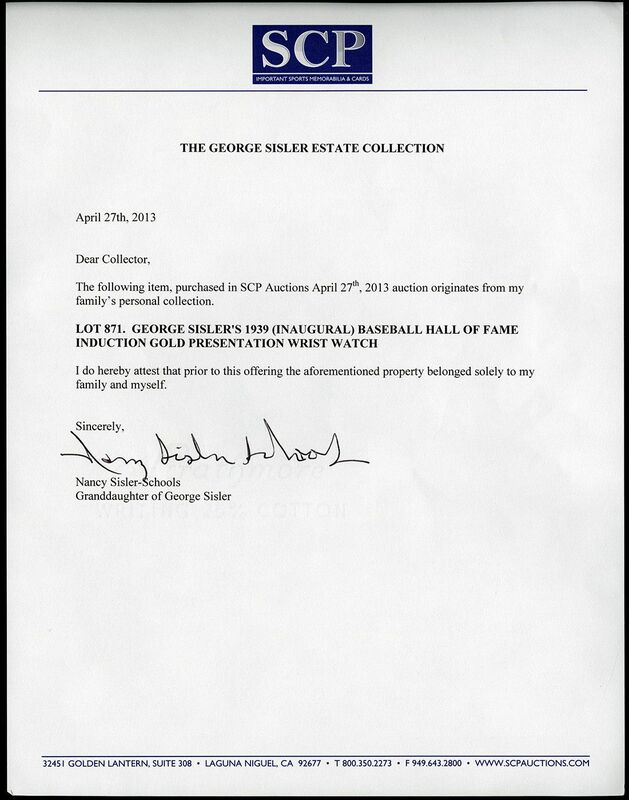 Comes with a Letter of Authenticity from the Sisler Family.